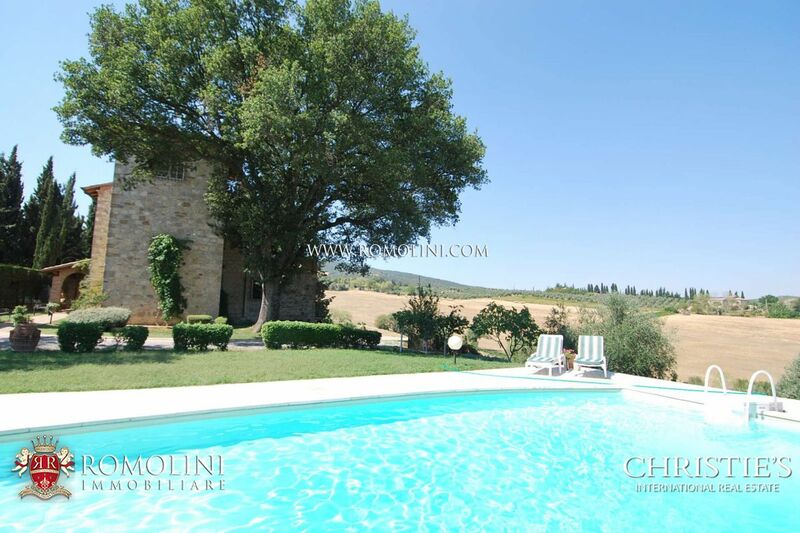 Looking for a villa or a wine estate in Val d'Orcia? 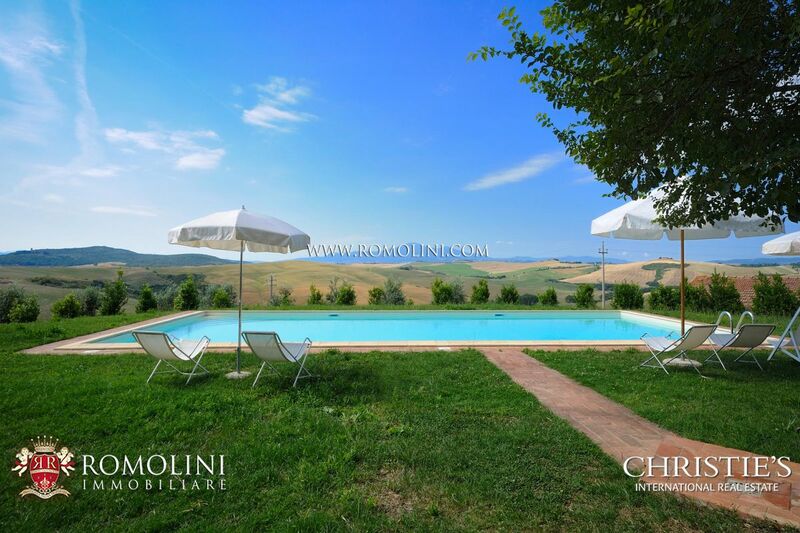 We offer an exclusive selection of villas, apartments and houses in Val d'Orcia with panoramic landscape. 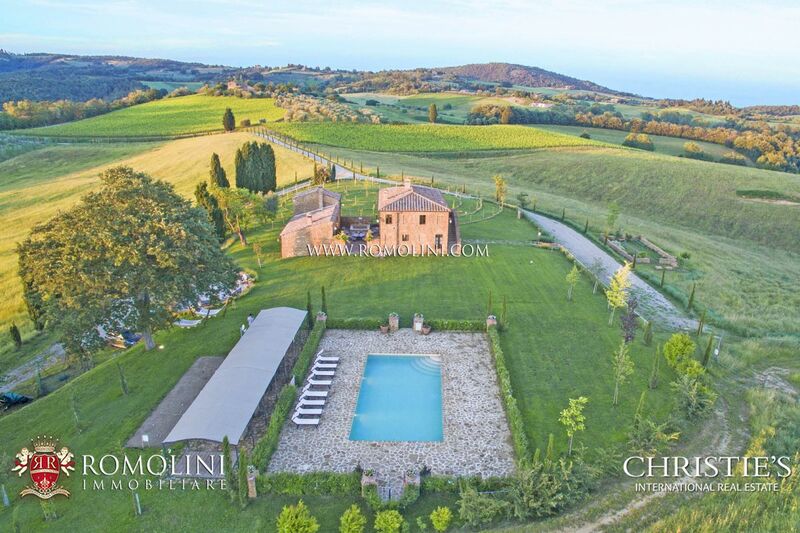 Prime locations such as Montalcino, Pienza, San Quirico d'Orcia, Montepulciano e Chianciano Terme. 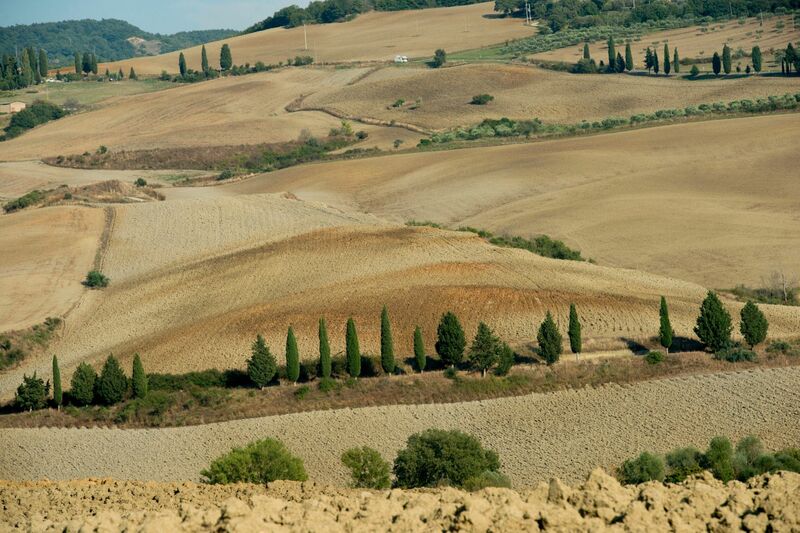 The Val d’Orcia is one of the most fascinating regions of Italy. 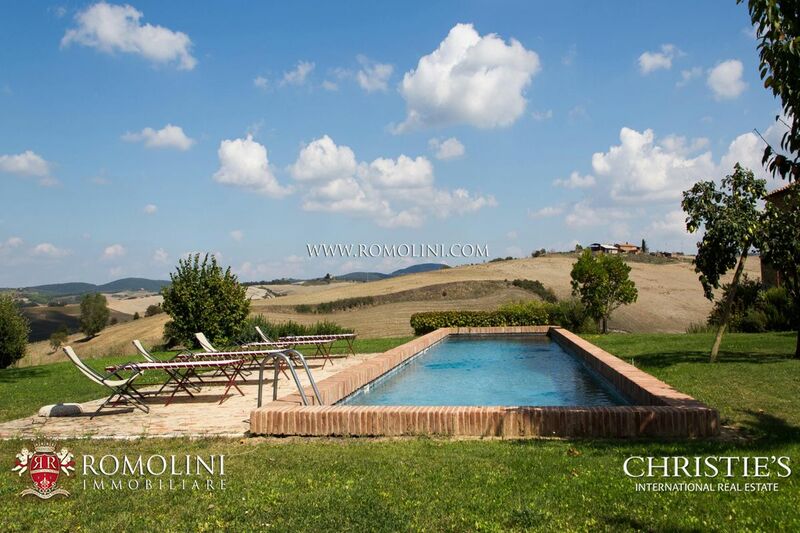 It is located in the southern Tuscany and is entirely included in the province of Siena. 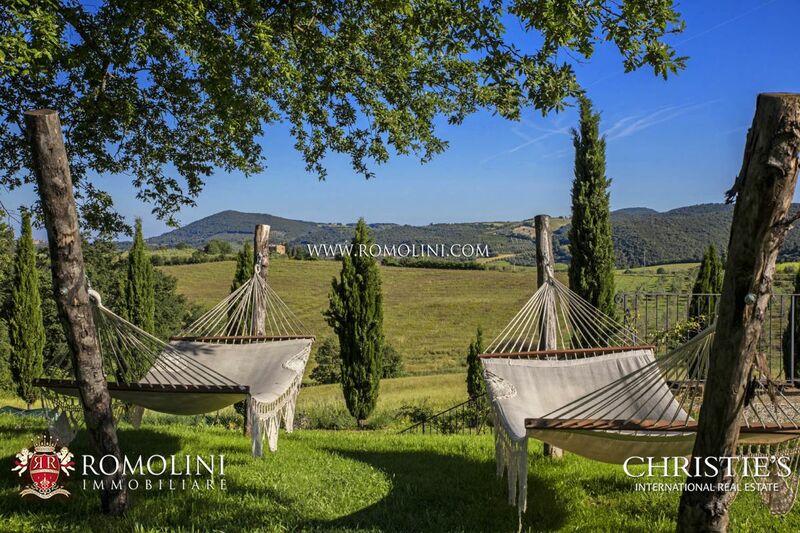 It takes its name from the river Orcia and is recognizable for beautiful landscapes made of rolling hills covered in vineyards, olive groves, cypresses, chestnuts, farmhouses, castles and medieval hamlets. 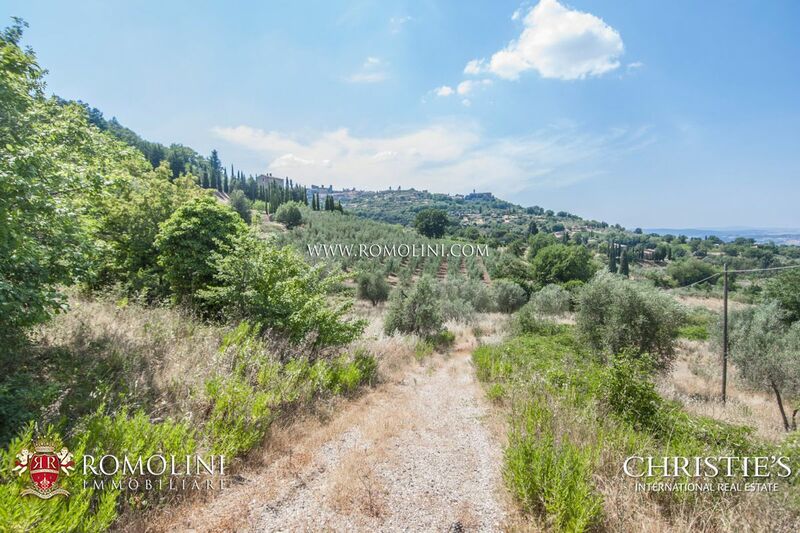 Castiglione d’Orcia, Montalcino, Pienza, Radicofani and San Quirico d’Orcia are the main municipalities of the area. 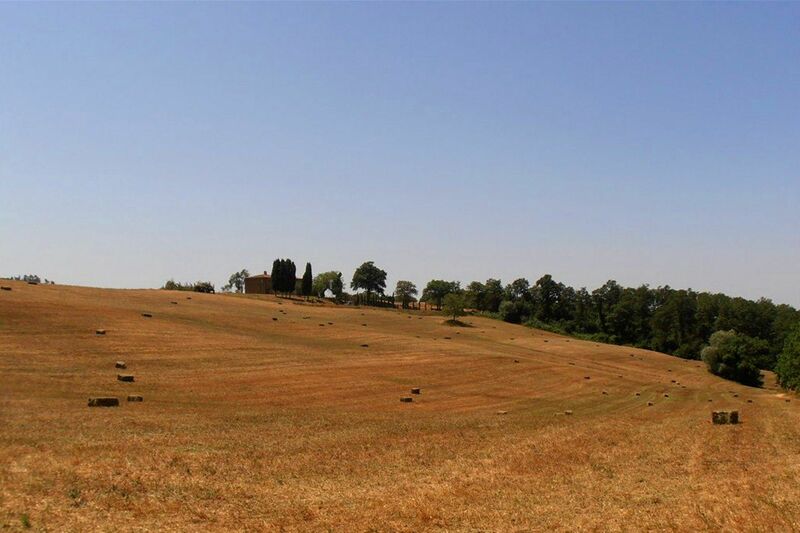 The whole Val d’Orcia appears in the list of the UNESCO World Heritage Sites, together with the historic centre of Pienza. 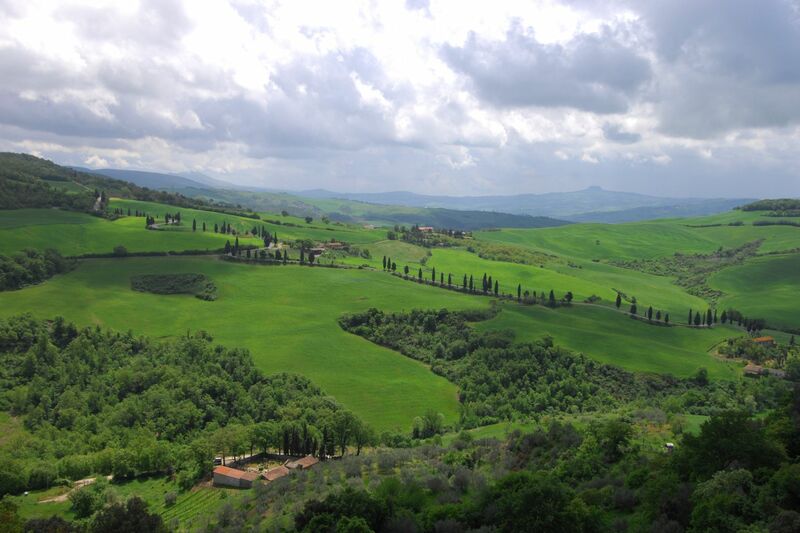 The Val d’Orcia was crossed in Roman age by the Via Cassia and then, during the Middle Age, by the Via Francigena. 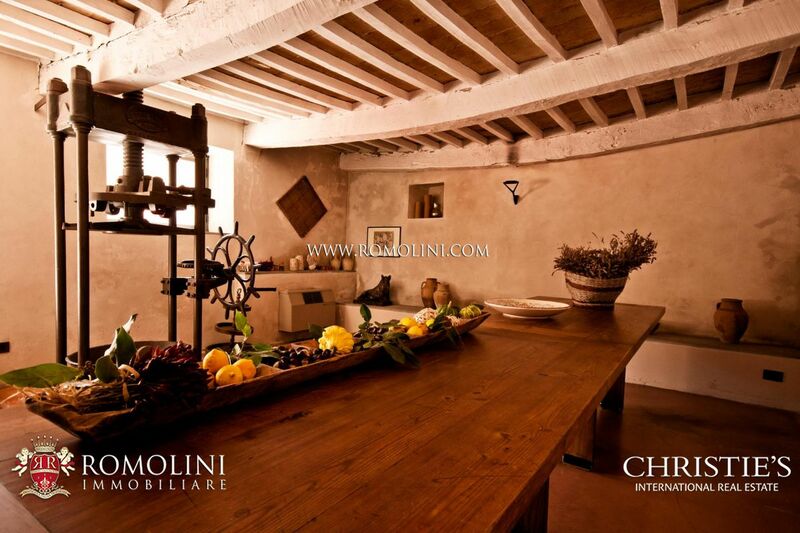 Nowadays the area in known all over the world for art, history, landscape and wines. 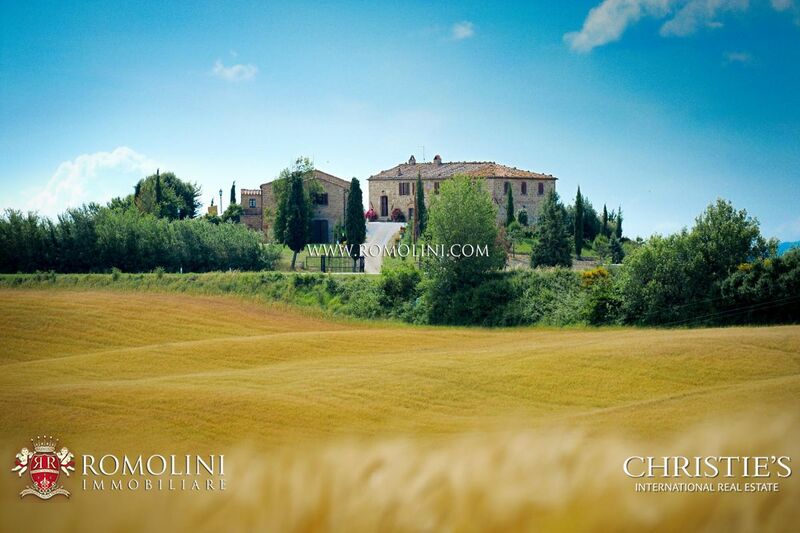 The nature and beauties of Val d’Orcia inspired artists of the Middle ages and the Renaissant in their masterworks. 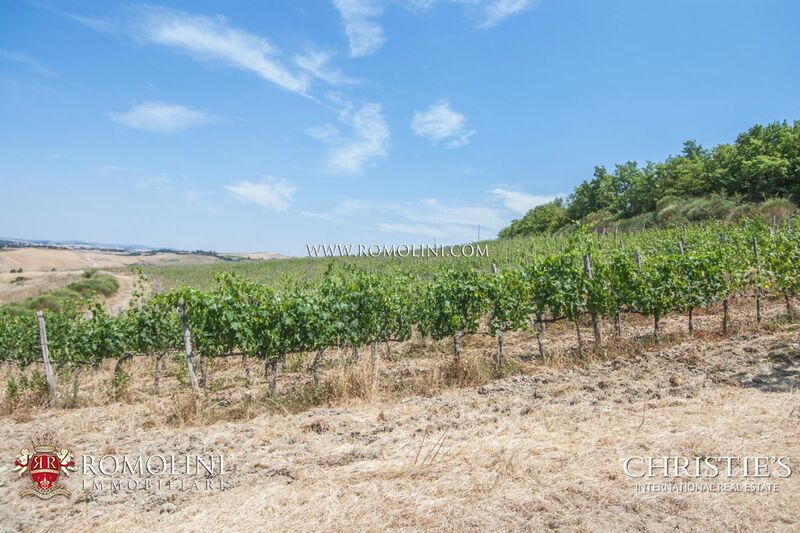 Agriculture is the main activity in Val d’Orcia, mainly for wines, among which the Brunello di Montalcino is the real excellence. 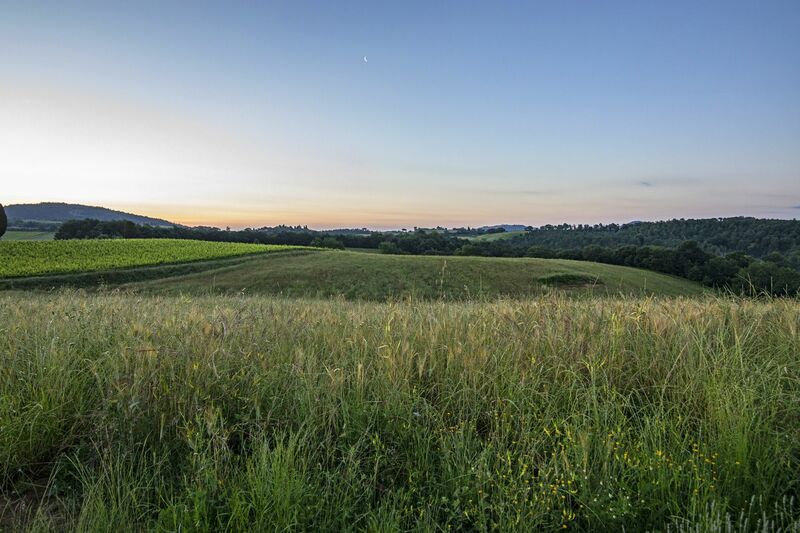 The land is dotted by abbeys, old hamlets and beautiful medieval castles. 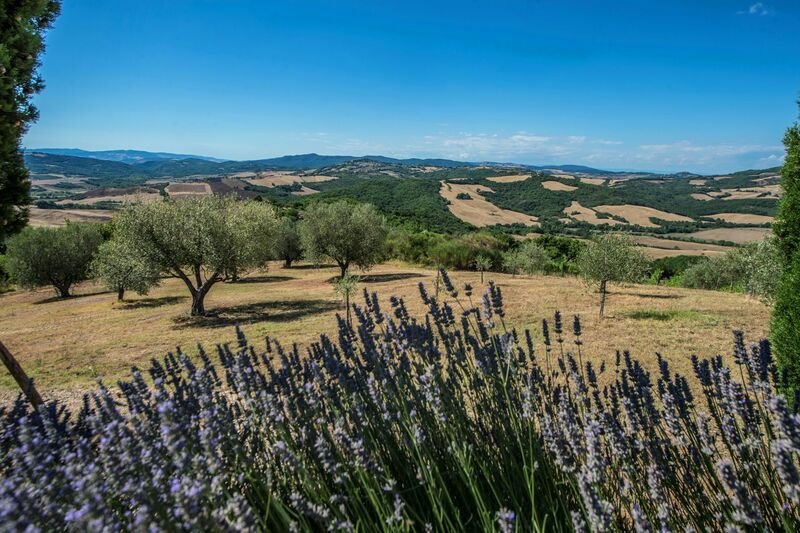 To protect nature, traditions, cultural roots and typical dishes of the Val d’Orcia the Parco Naturale e Culturale della Val d’Orcia has been instituted. 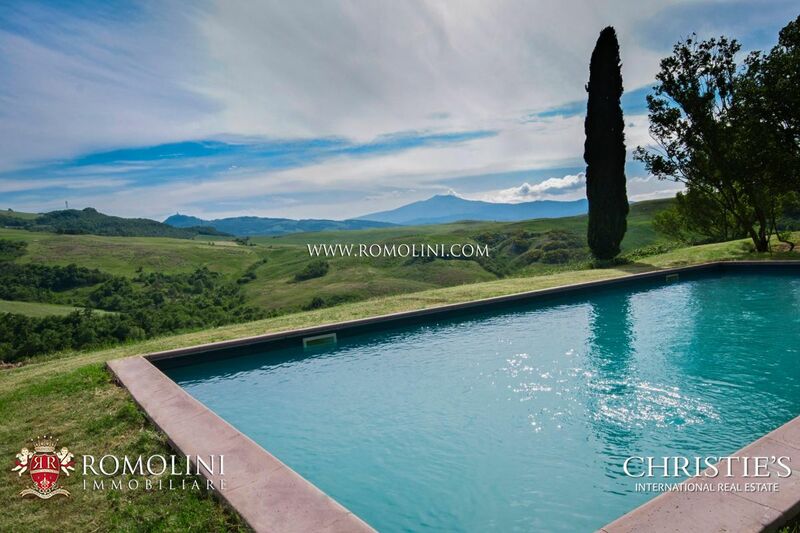 Through Romolini Immobiliare – Christie’s International Real Estate it is possible to rent luxury villas, farmhouses with pool, medieval towers, Relais, hotels, Agriturismos, luxury apartments, prestigious villas with pool, stone country houses, luxury properties and period villas in the most beautiful locations of Val d’Orcia. 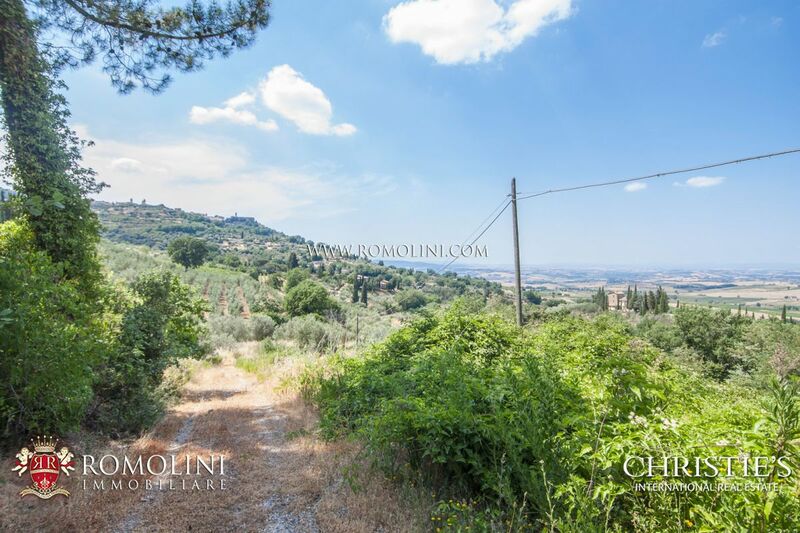 - Castiglione d’Orcia is a small town nested up on a cliff. 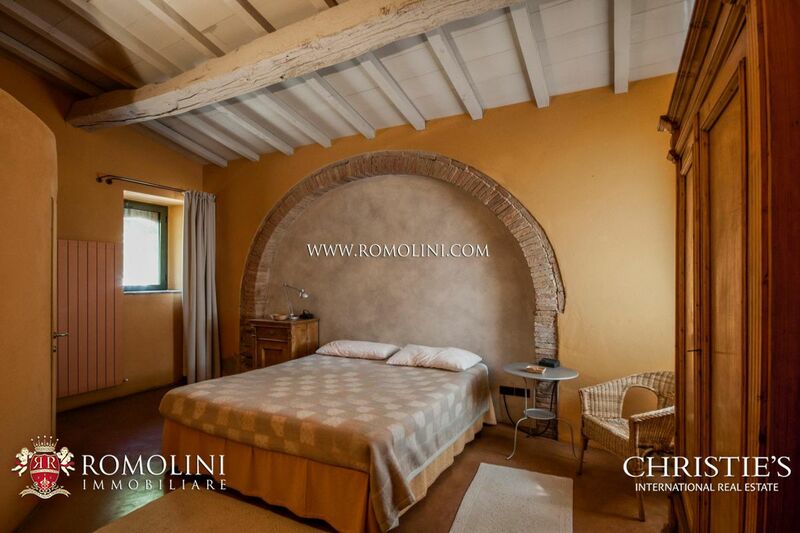 In its historic centre is located the main square celebrating Lorenzo di Pietro (better known as Il Vecchietta).Here one can admire a beautiful travertine well dating back to the 1618. 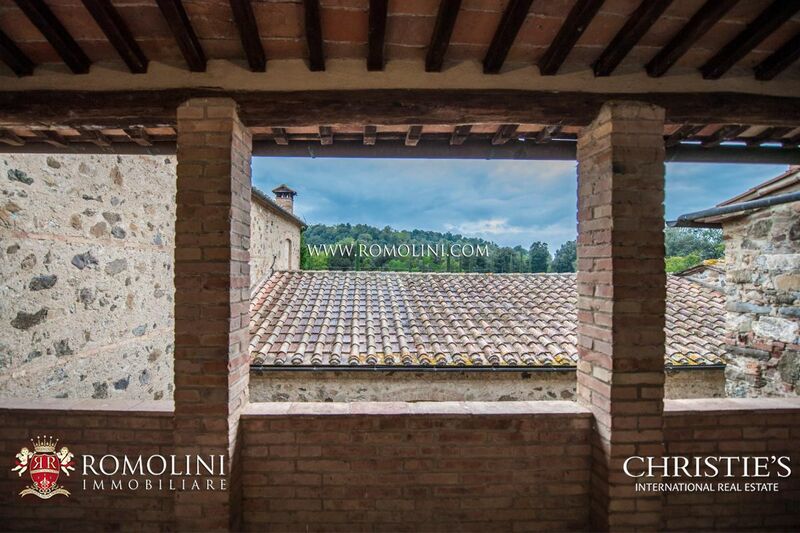 Among the best landmarks of the town one must cite the Palazzo Comunale, the Chiesa di Santa Maria Maddalena and the Rocca di Tentennano. 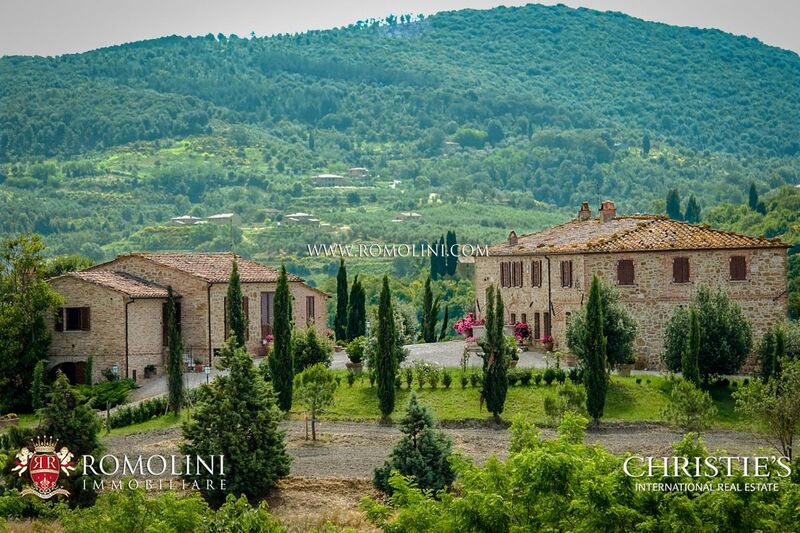 - Montalcino is a town known all over the world for its superb wine, but also for its beautiful medieval centre with the 14th century keep. 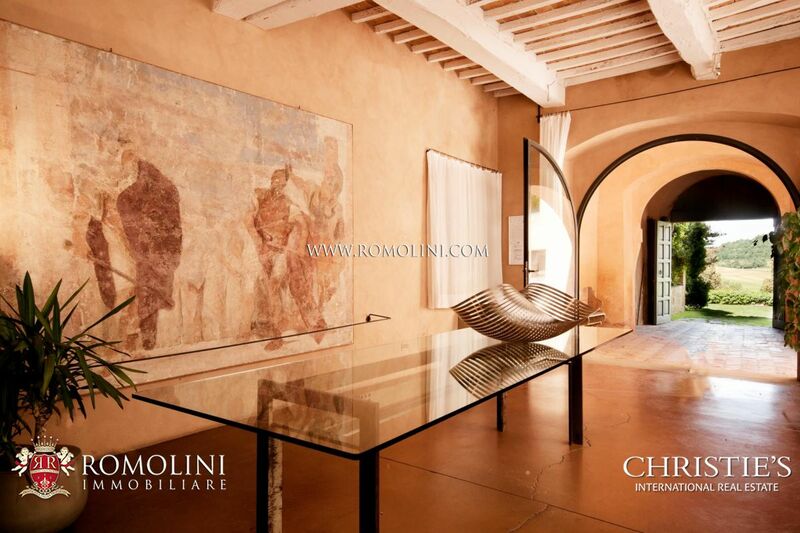 Known landmarks are the Palazzo Comunale and its tower, the Gothic Loggia, the Chiesa di Sant’Agostino, the Museo Civico e Diocesiano and the Piazza del Popolo (people square). 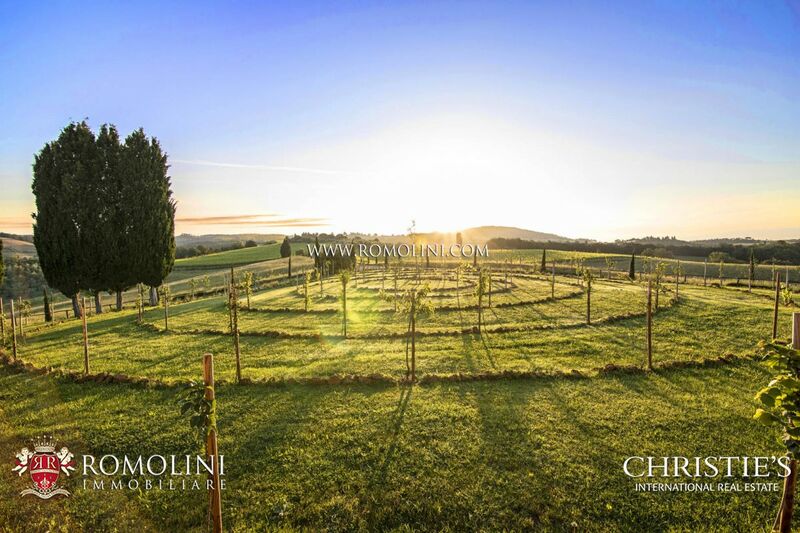 Over 3,000 hectares of vineyard offer an incredible view and the production of an excellent wine. 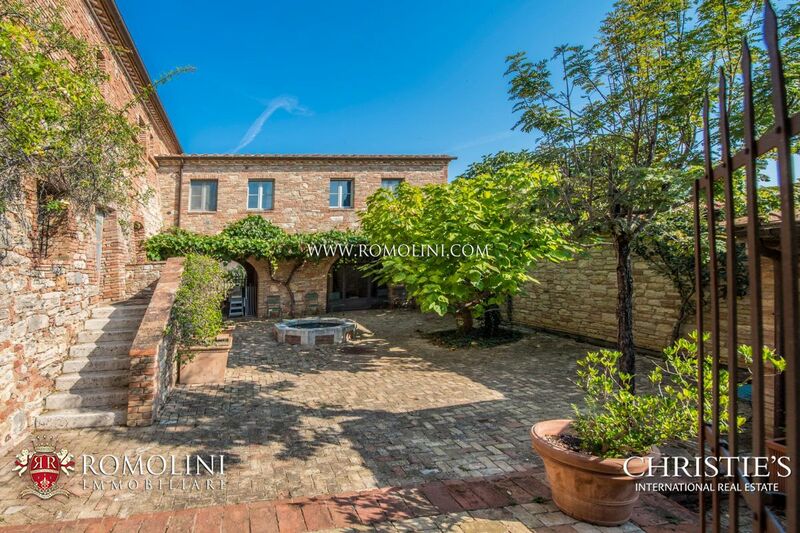 - Pienza is a beautiful town whose historic centre has been included in the World Heritage List of UNESCO. 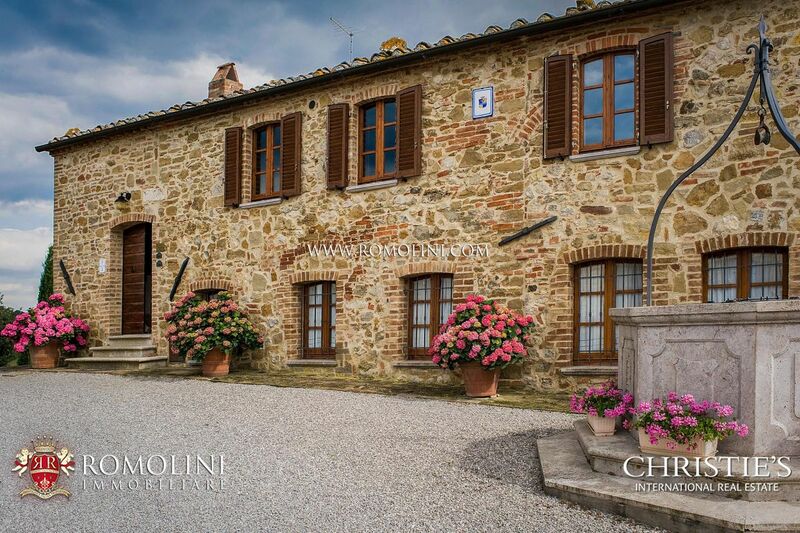 The town’s name was originally Corsignano: the name was changed in the 15th century to celebrate the newly elected pope Pius II. 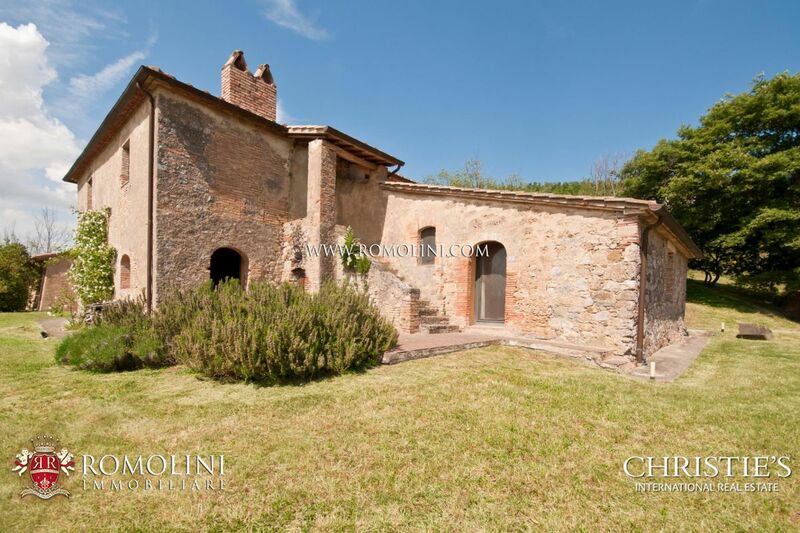 He was so disappointed by the ruin of his birthplace that ordered it to be rebuilt following the criteria of the Ideal city between the 1459 and 1462. 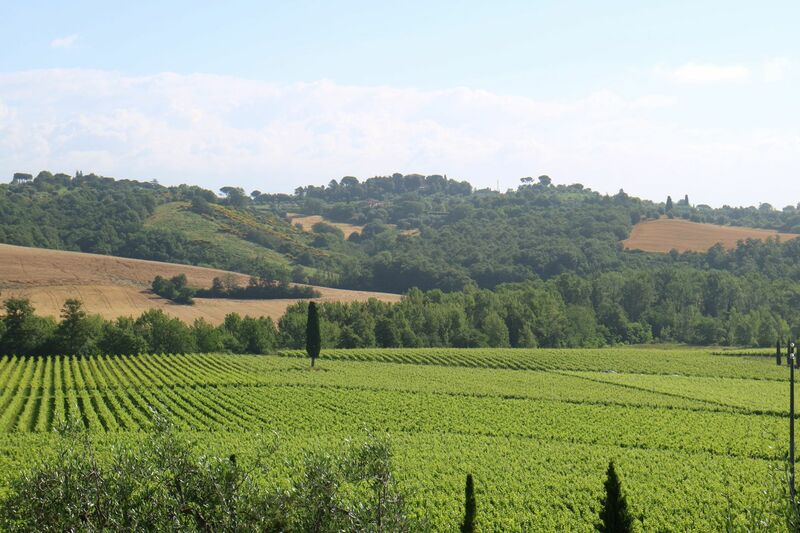 The newborn Pienza started a new life. 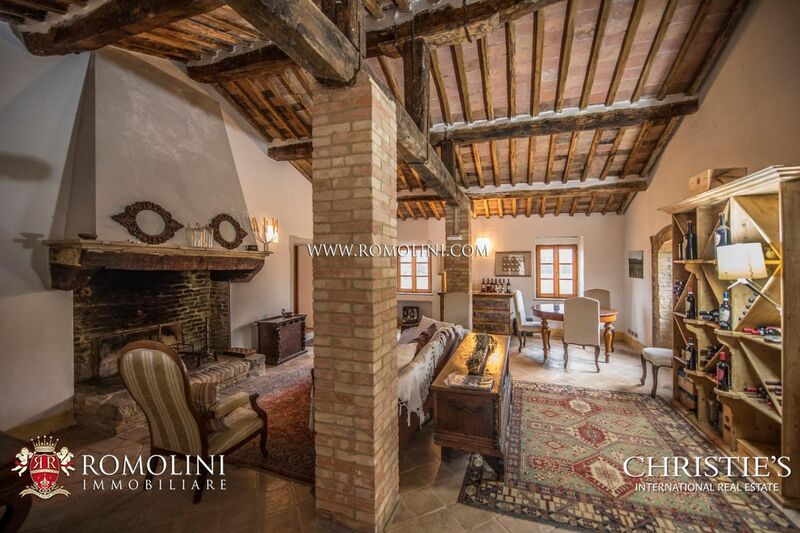 Landmarks worth visiting are Piazza Pio II, the Cattedrale dell’Assunta, Palazzo Piccolomini, the Chiesa di San Francesco, Palazzo Ammannati, the impressive ramparts and the Palazzo Comunale. 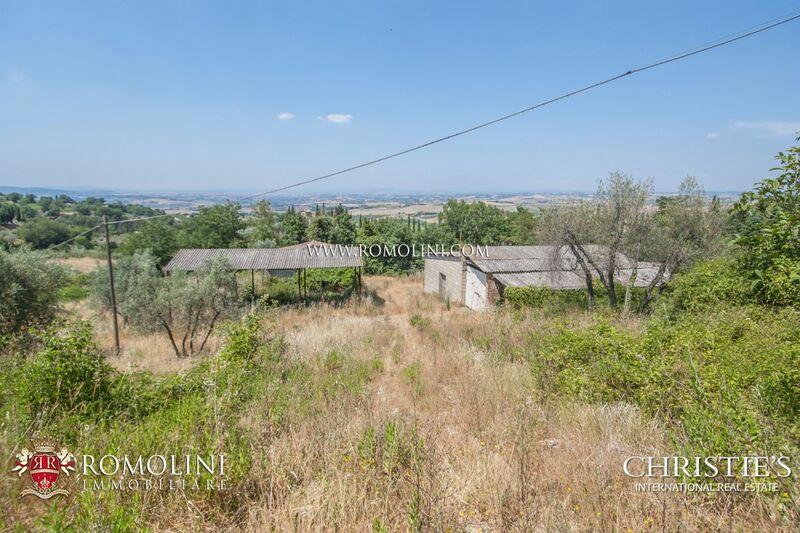 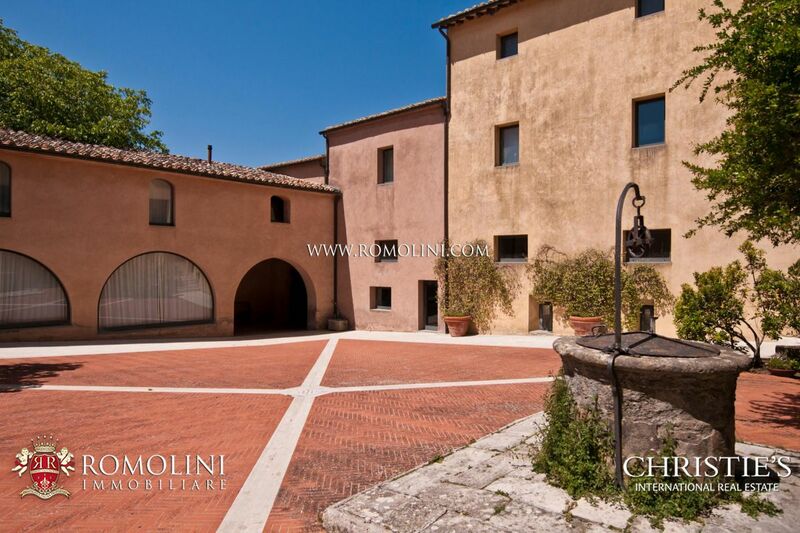 Not far from the town are located the beautiful fortified hamlets of Monticchiello and Spedaletto. 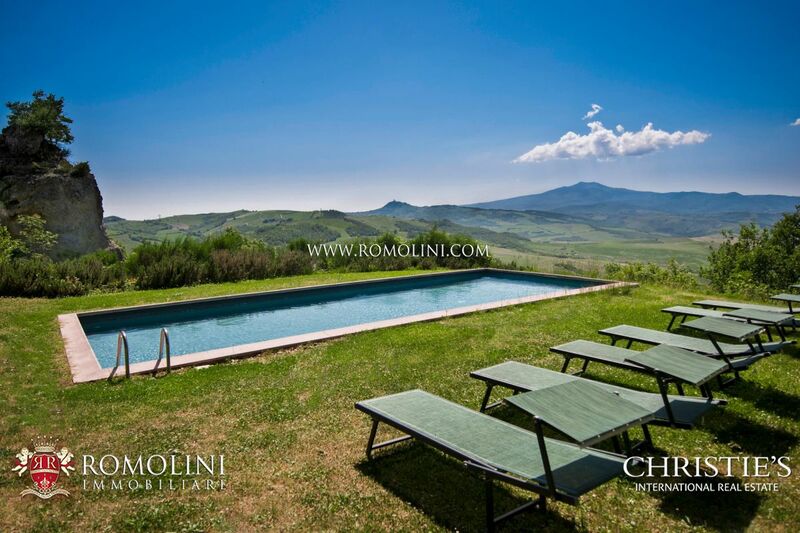 - Radicofani is located in the southern part of Val d’Orcia. 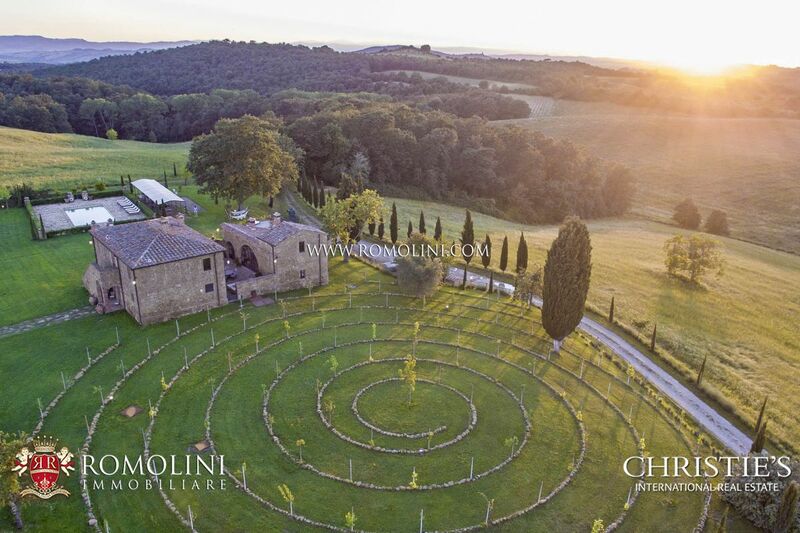 Symbol of the town is the 11th century fortress built at the border between the State of the Church and the Grand Duchy of Tuscany. 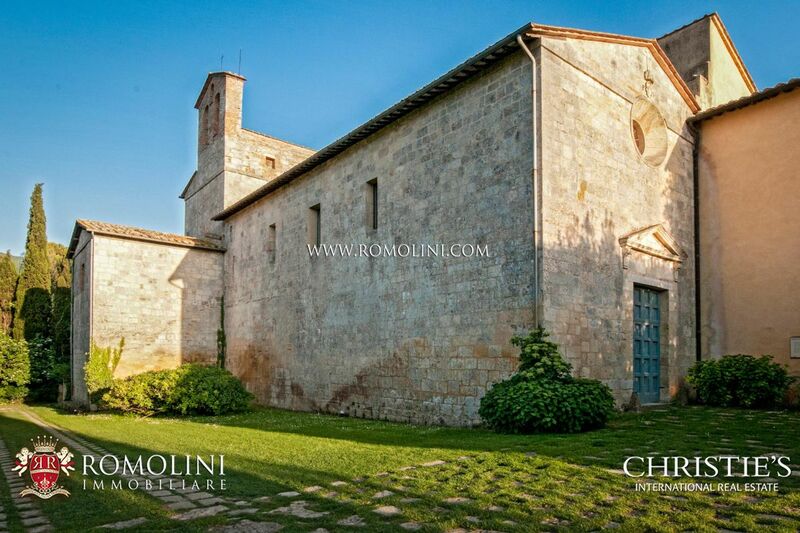 Other landmarks are the Chiesa di San Pietro, the Chiesa di Sant’Agata, Palazzo Pretorio and Palazzo della Posta. 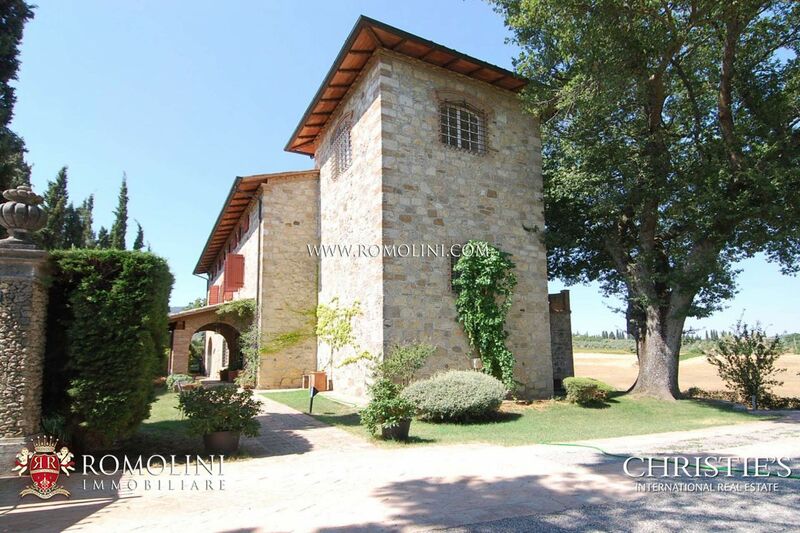 - San Quirico d’Orcia developed around the old medieval town of Osenna. 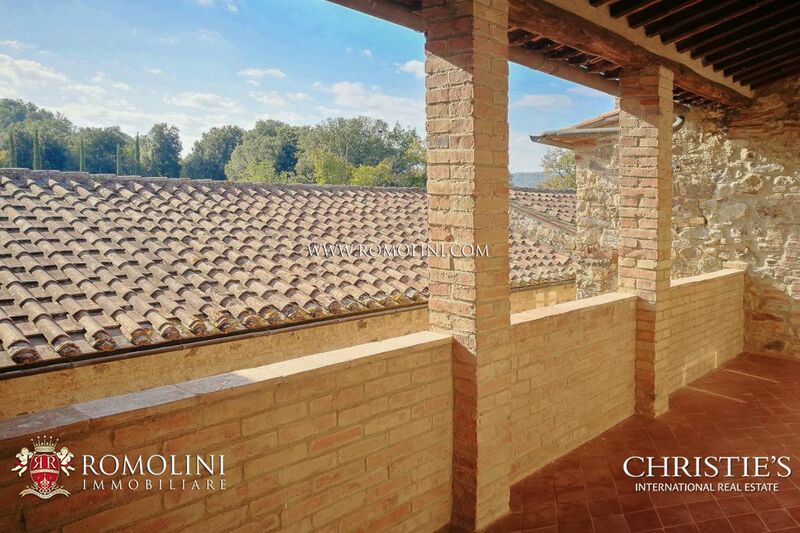 The center is surrounded by walls and offers an incredible view. 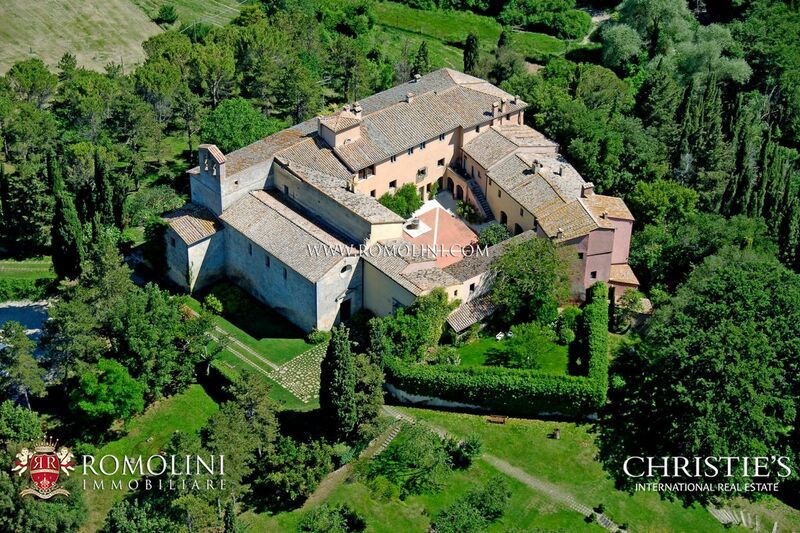 Places worth visiting are the Collegiata dei Santi Quirico e Giulietta, the Chiesa della Misericordia, Palazzo Pretorio, Palazzo Chigi and Santa Maria di Vitaleta, the Horti Leonini and the Ospedale della Scala. 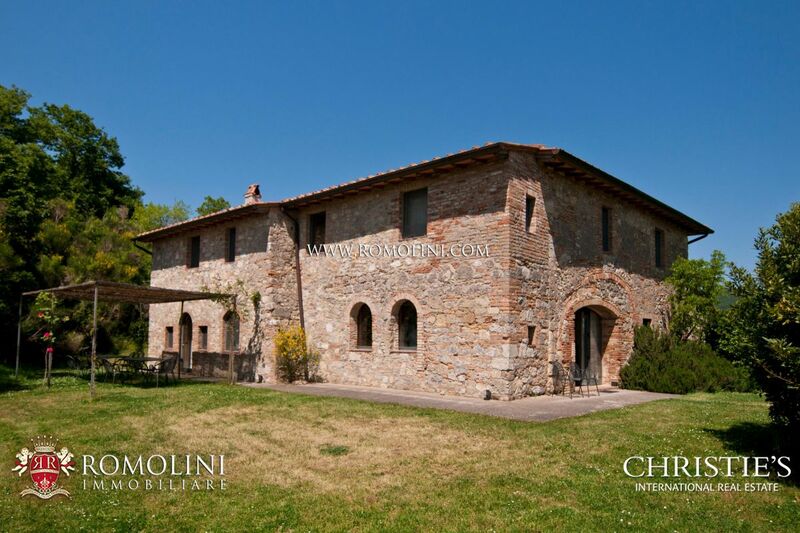 Not far from the town is located Bagno Vignoni, a thermal center already famous in the Middle ages. 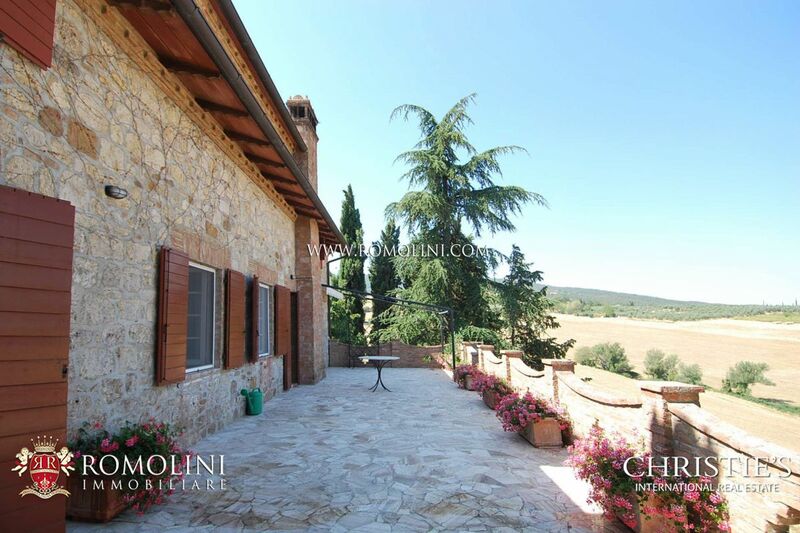 - On the hills of Val d’Orcia (near the Valdichiana) is located Sarteano. 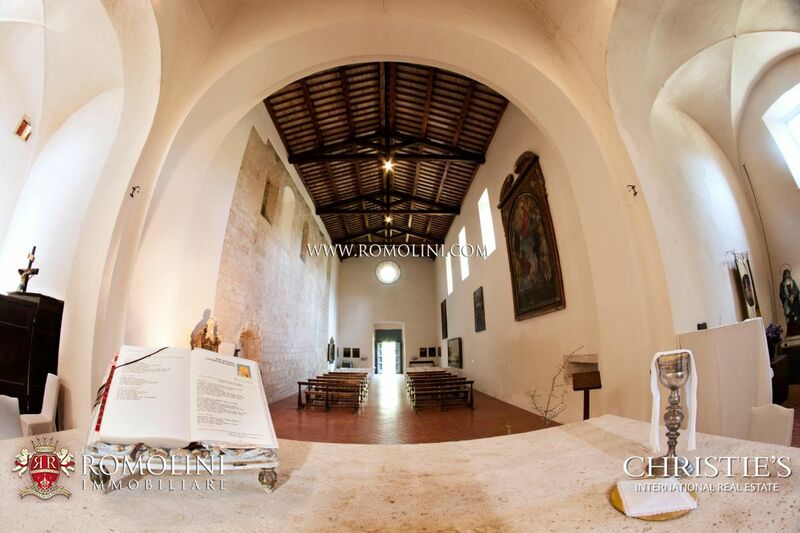 The most interesting landmarks of this town are the keep, the Chiesa di San Francesco, the Castello delle Moiane and the monument to the fallen. 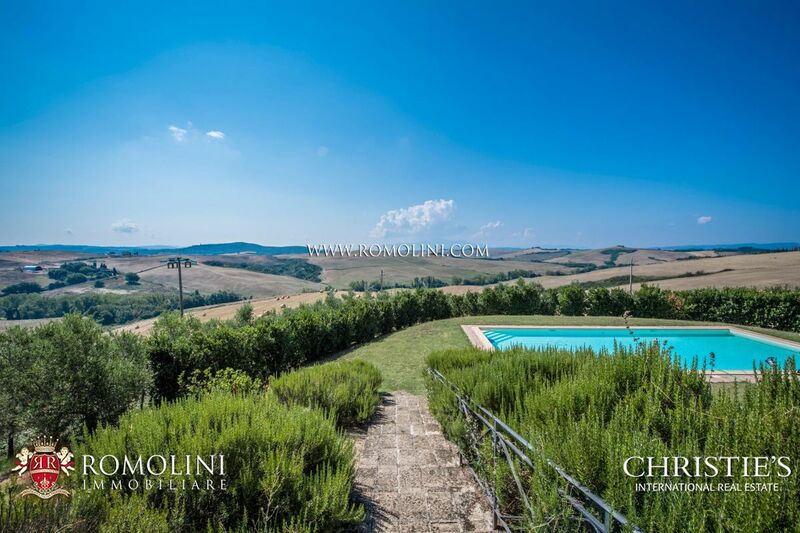 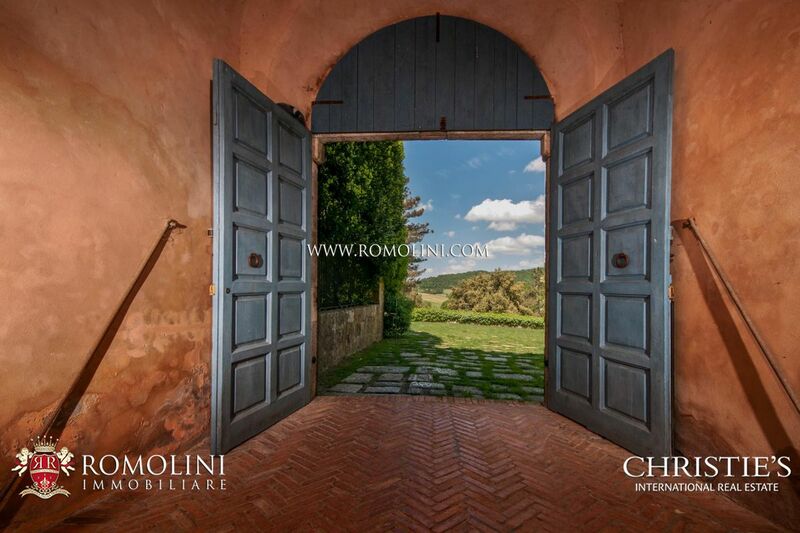 In the most beautiful places of Val d’Orcia Romolini Immobiliare – Christie’s International Real Estate offers an ample choice of Agriturismos, farmhouses with pool, medieval towers, Relais, luxury villas, exclusive apartments, stone country house, hotels and prestigious properties for rent. 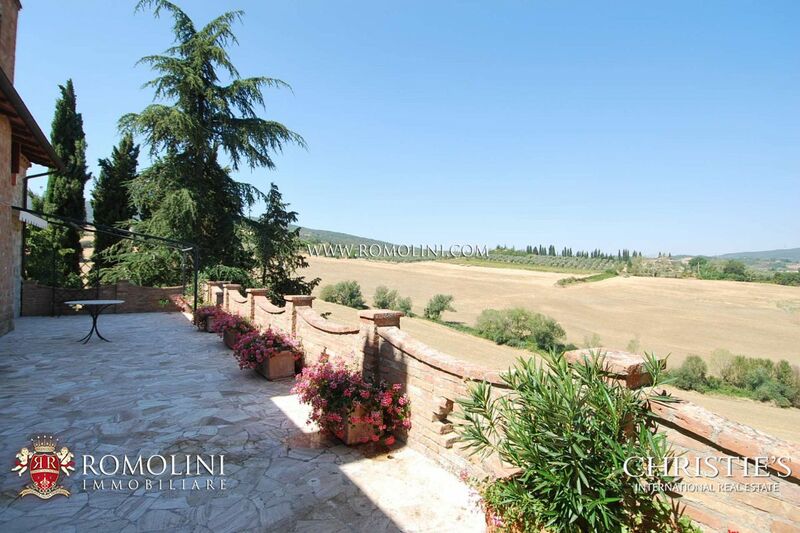 The best product of Val d’Orcia is without a doubt the Brunello di Montalcino, a red wine of excellent quality and appreciated in every part of the world. 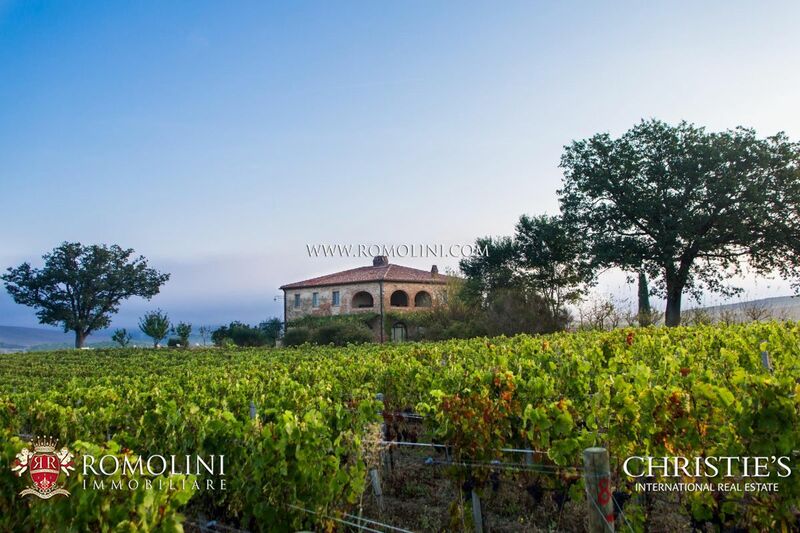 This wine started being valorized in the 1950s and became one of the symbols of Italy in the second half of the century after World War II. 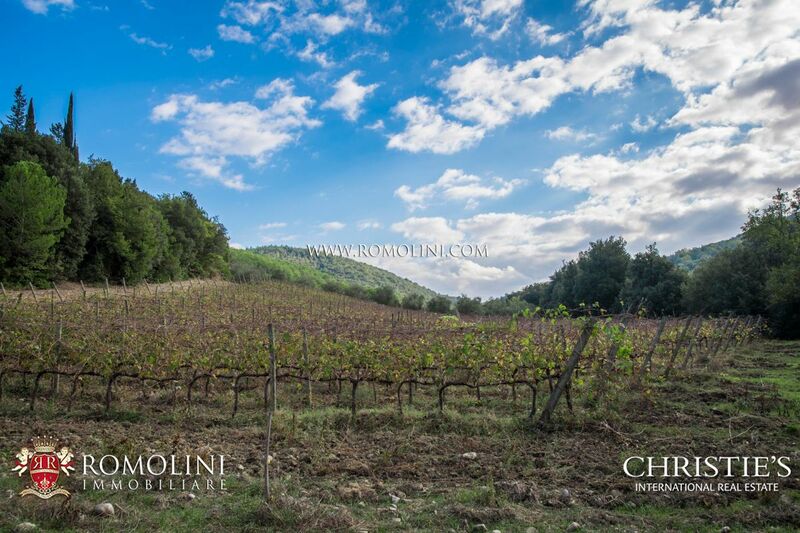 The Brunello can only be produced inside the municipality of Montalcino by using only Sangiovese grapes. 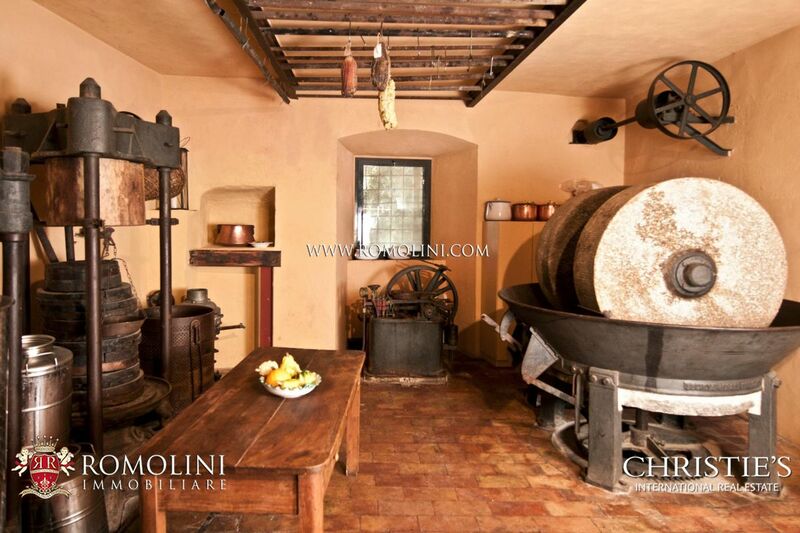 Ferruccio Biondi Santi is considered the “inventor” of this extraordinary wine. 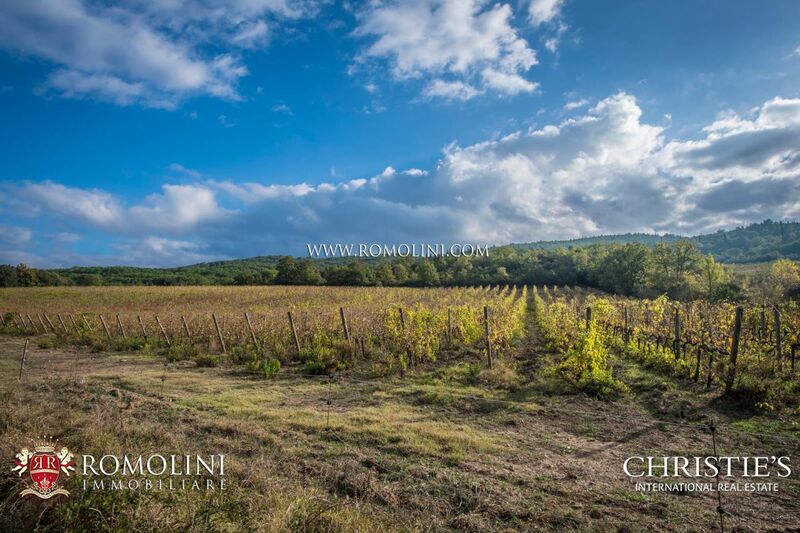 At the end of the 19th century he decided to abandon Canaiolo, Ciliegiolo and Colorino to focus on Sangiovese. 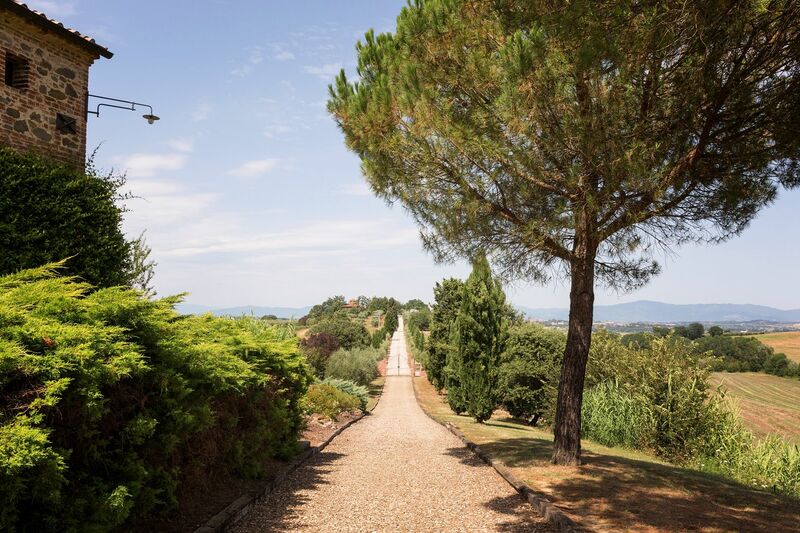 In 1960, the Brunello obtained the DOC certification, and in 1980 it was the first Italian wine to be awarded the DOCG certificate. 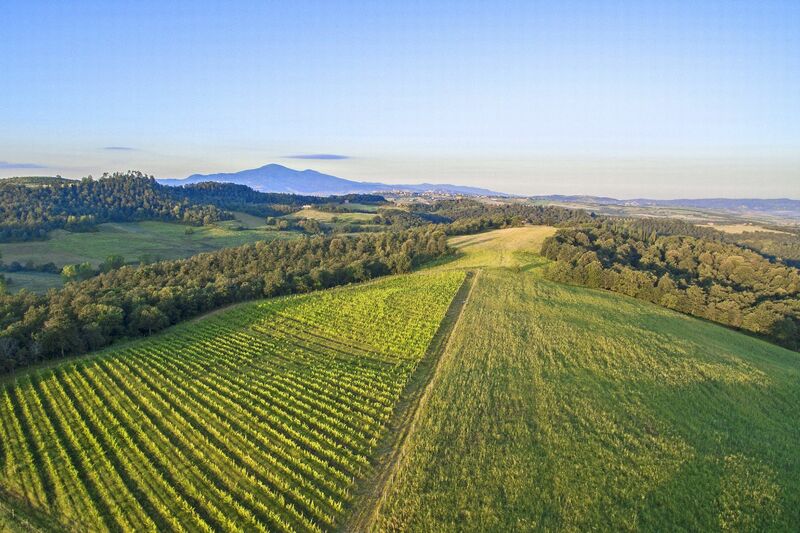 Its growth was slowed first by the high price and then by an epidemics which destroyed many of the vineyards in 1930. 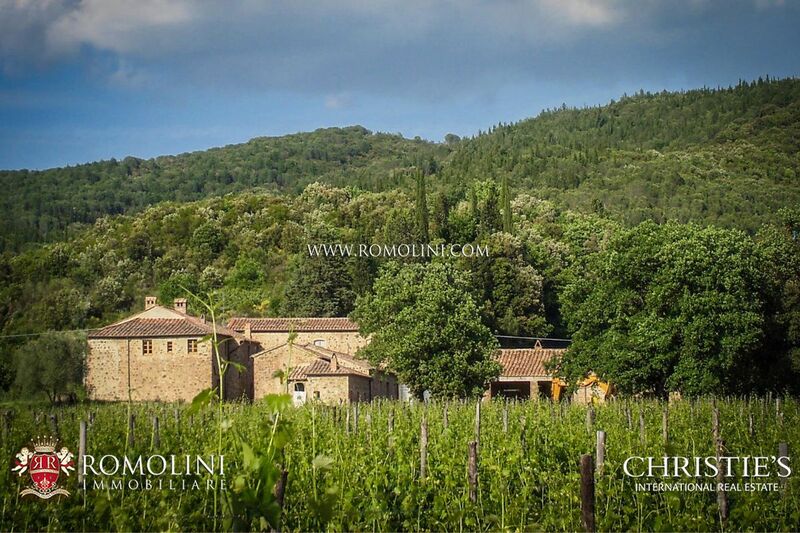 In 1967 the Consorzio del Vino Brunello di Montalcino was founded to protect the wine and exalt its main aspects. 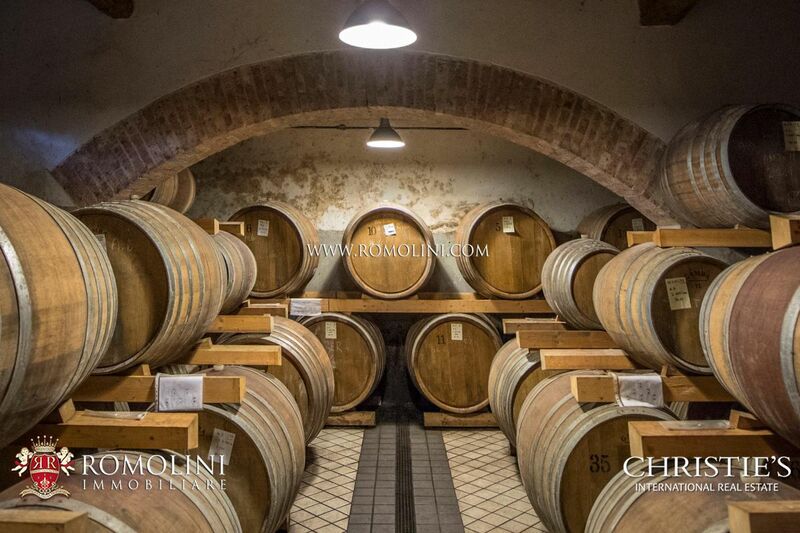 The Brunello is a harmonic and elegant wine, getting better with ageing, but needs a careful storage in a fresh, dark, silent, odorless cellar with bottle lying on their side. 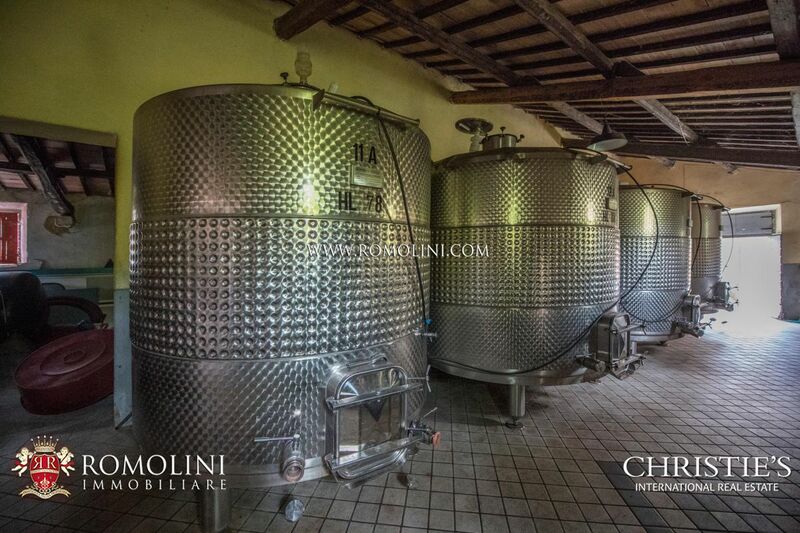 The wine is served at ambient temperature and is perfect with red meats, game (mainly boar), cheeses and mushrooms. 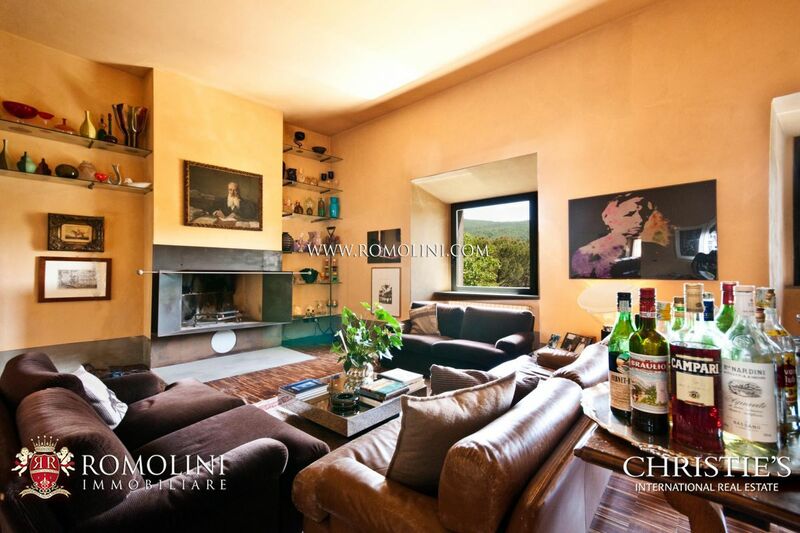 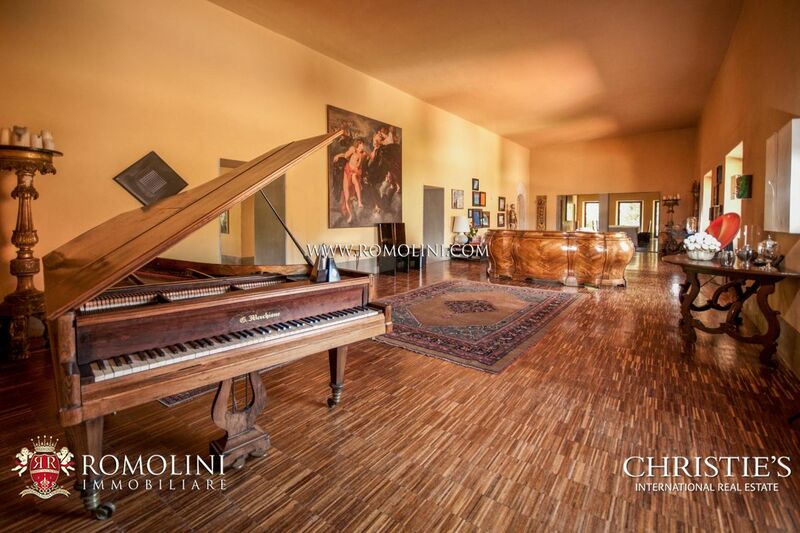 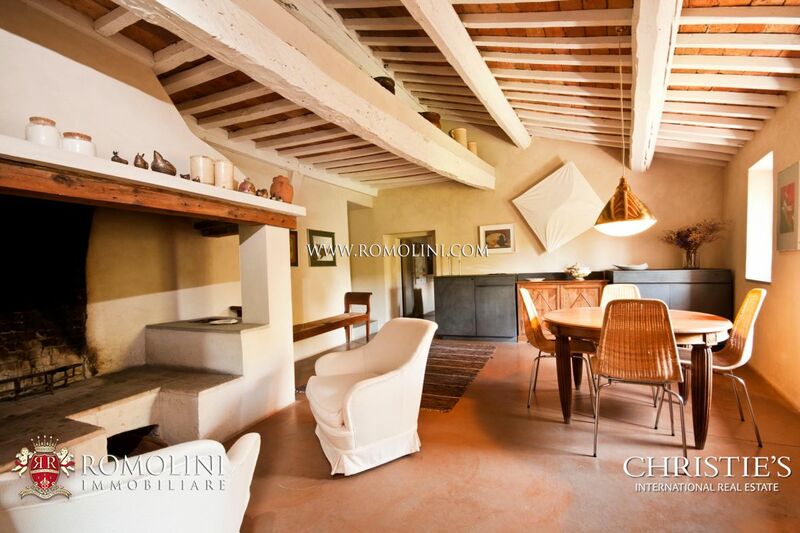 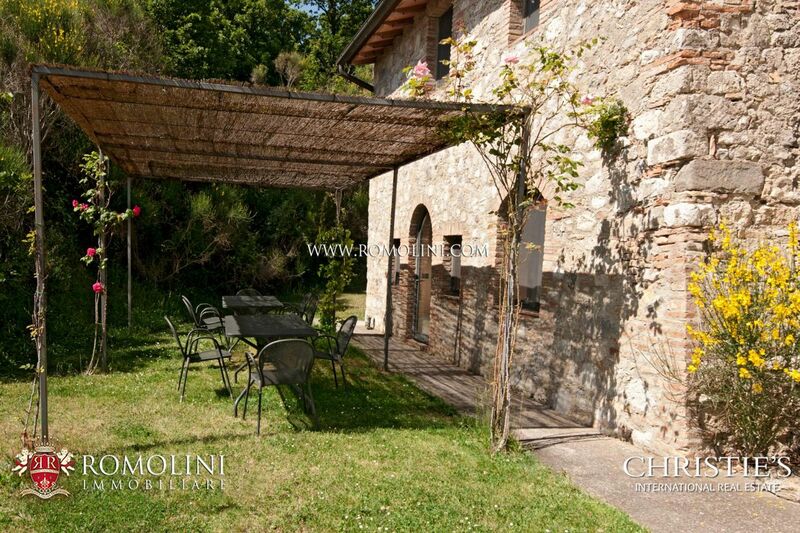 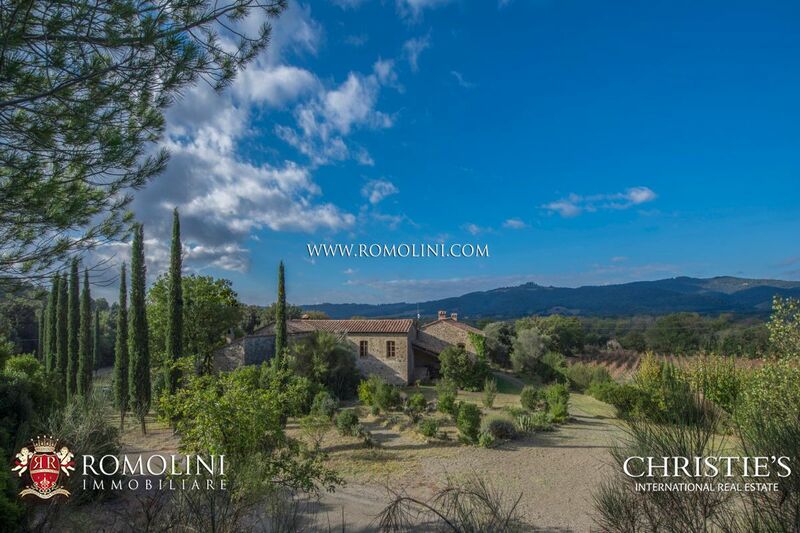 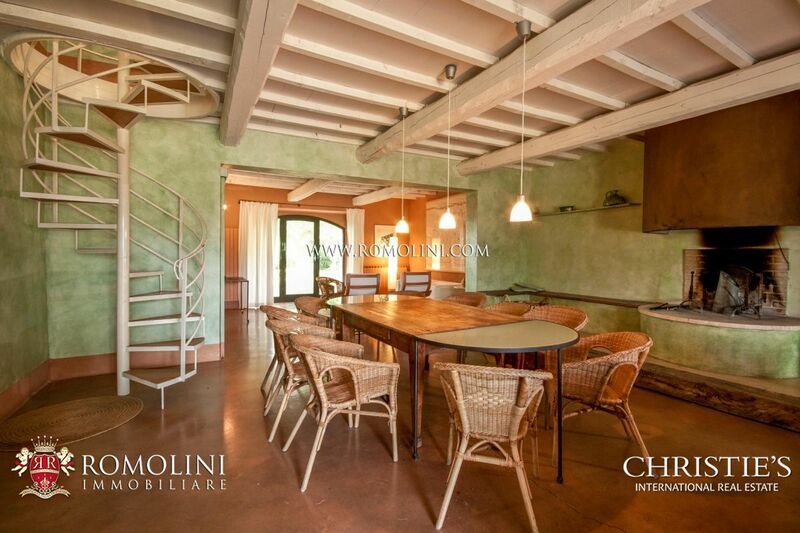 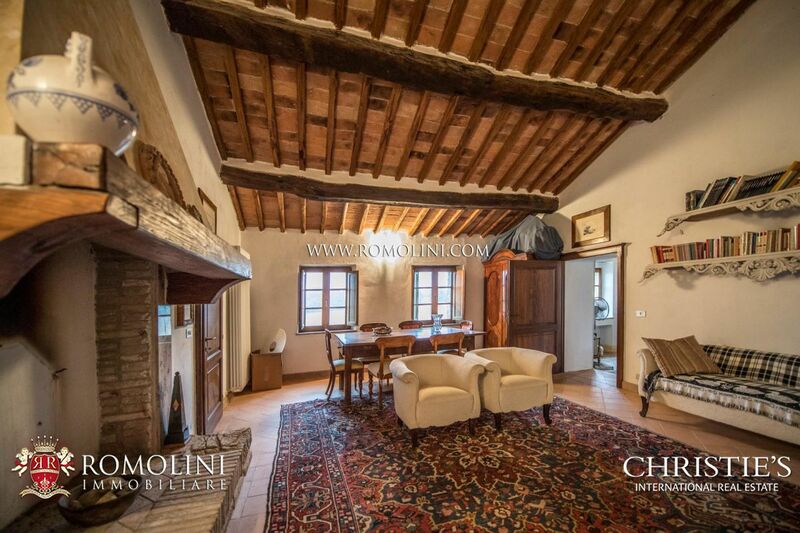 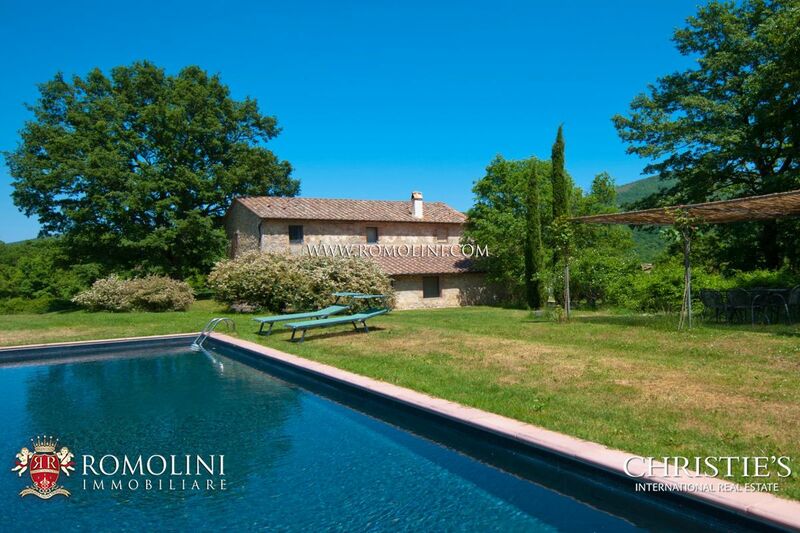 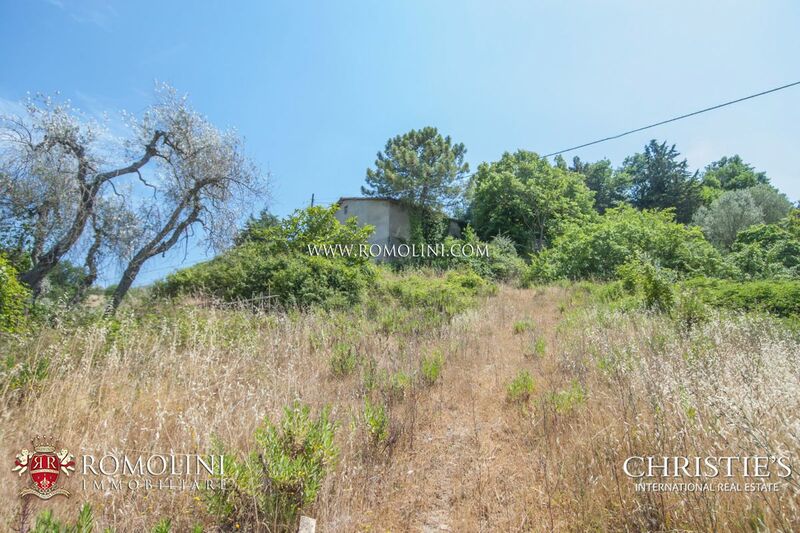 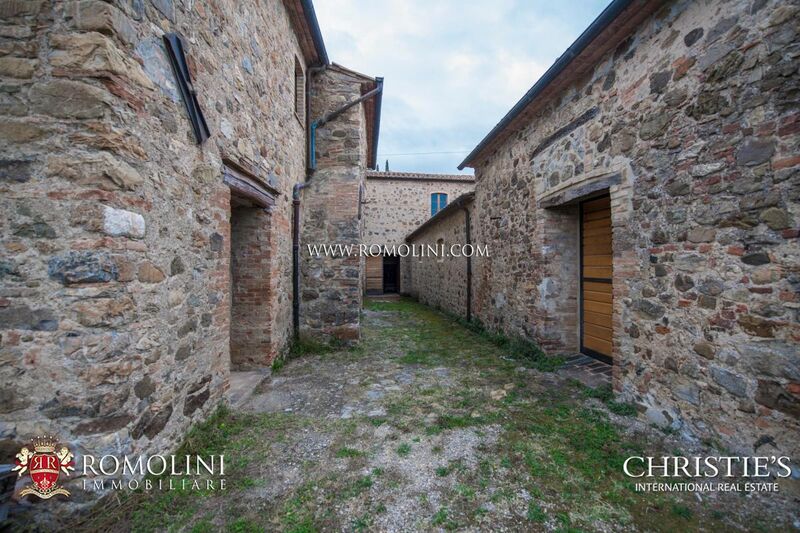 With Romolini Immobiliare – Christie’s International Real Estate it is possible to rent Agriturismo, luxury villas and period villas in the land of the Brunello di Montalcino. 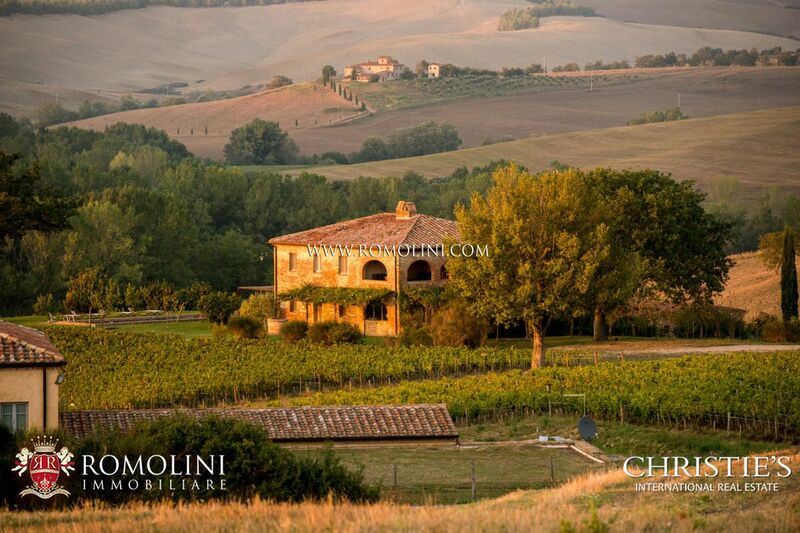 - The Rosso di Montalcino is a red DOC wine produced with Sangiovese grapes as the Brunello, but is much younger. 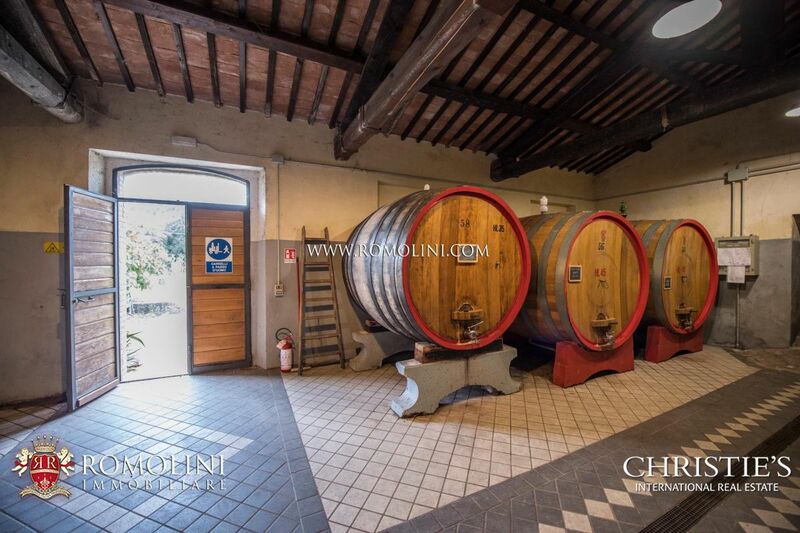 While the production area is the same as the Brunello, the procedural guideline is different, since the wine has a much shorter ageing period. 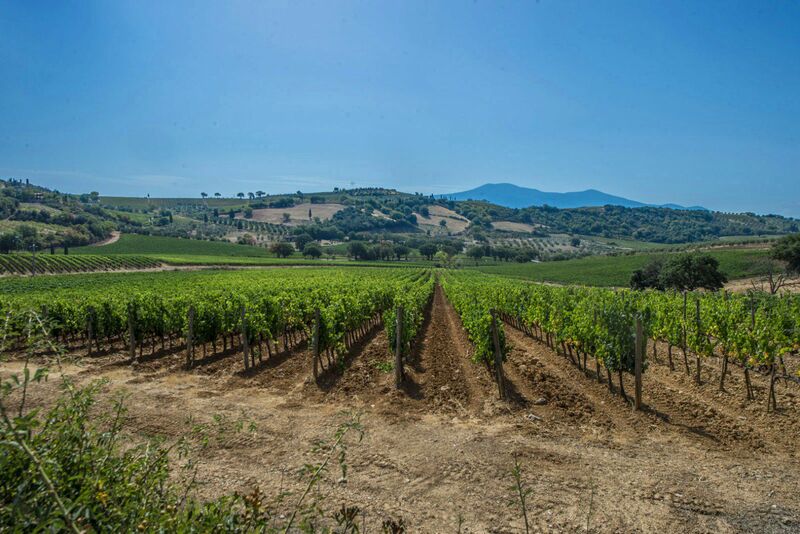 - The Sant’Antimo is a DOC wine produced in the Montalcino area and available in multiple types: red, Novello, Cabernet Sauvignon, Merlot, Pinot Nero, white, Chardonnay, Sauvignon, Pinot Gris and Vinsanto. 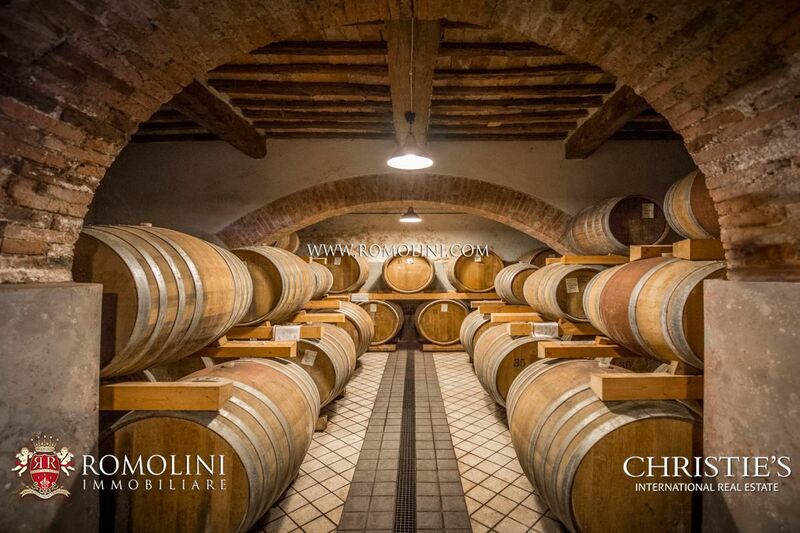 - The Moscadello di Montalcino is a DOC dessert wine produced with a base of Moscato. 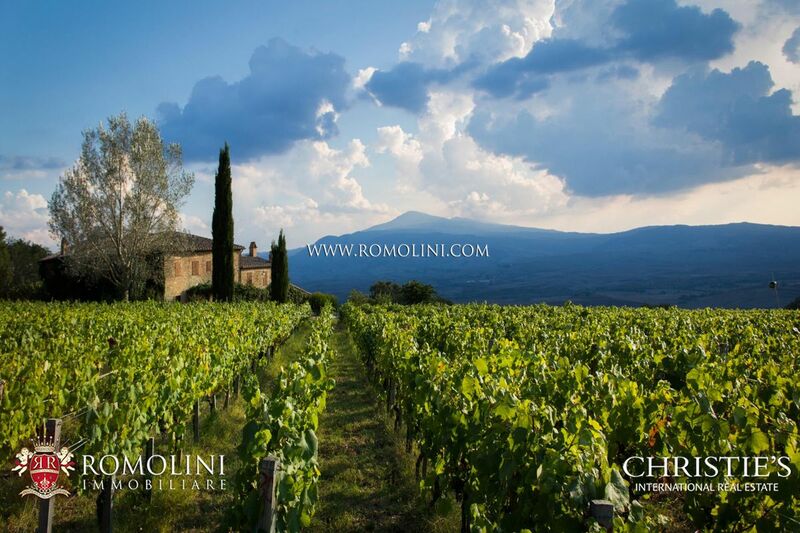 - The Orcia DOC is a class of wines produced in Val d’Orcia mainly using Sangiovese as base (60% minimum). 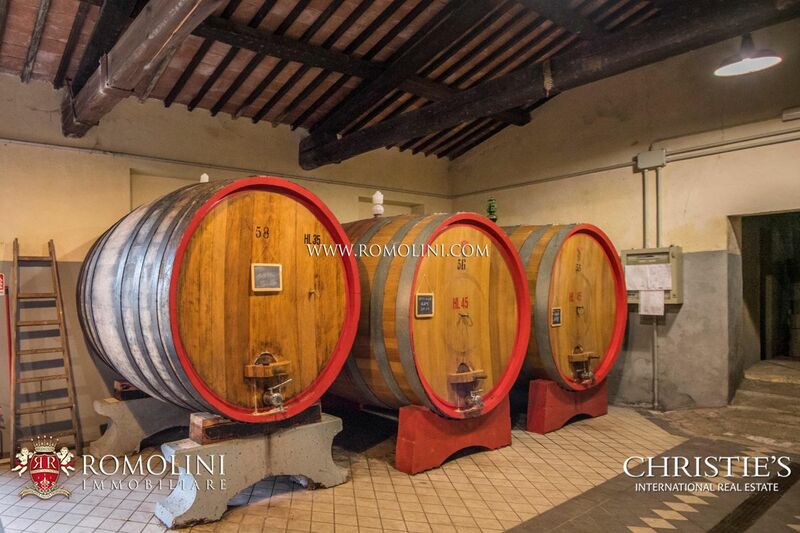 Here are the various types of wine: red (also Riserva), rosé, white, Sangiovese (also Riserva) and Vinsanto. 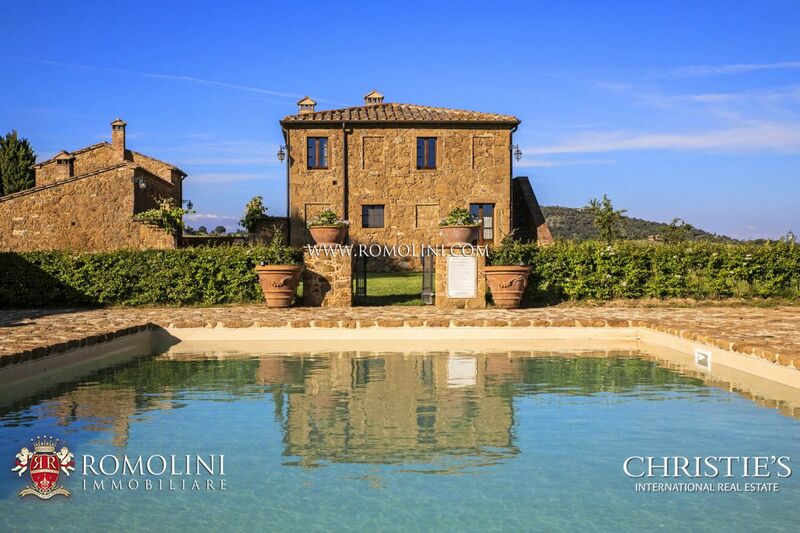 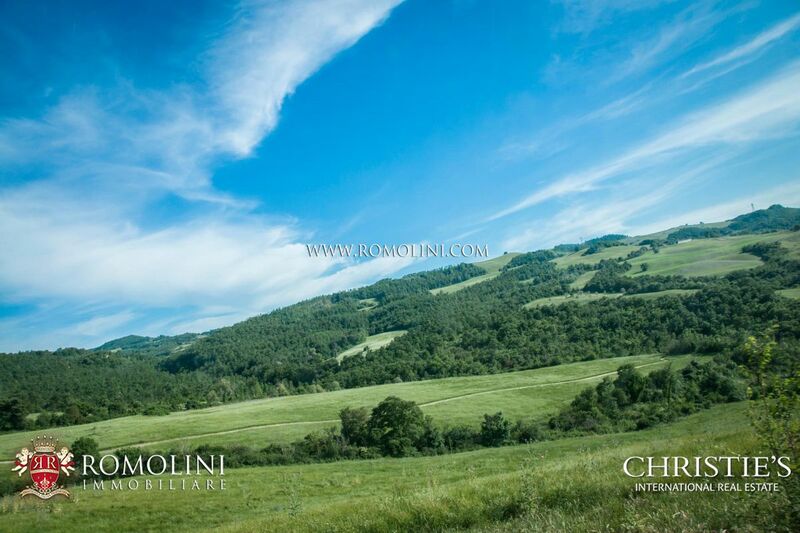 By contacting Romolini Immobiliare – Christie’s International Real Estate it is possible to rent luxury villas, farmhouses, medieval towers, Relais, hotels, agriturismo, luxury apartments, exclusive villas with pool and luxury properties in the most appreciated corners of Val d’Orcia and Tuscany. 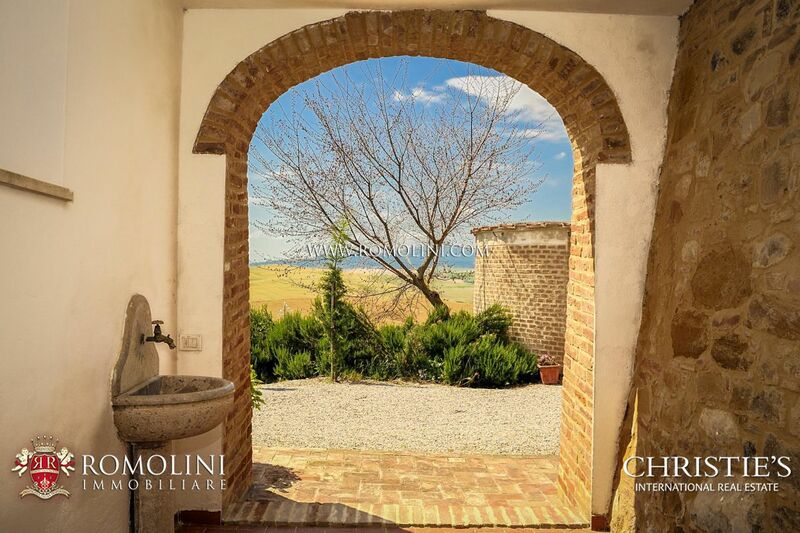 If you couldn’t find what you were looking for, subscribe to our NEWSLETTER and we’ll get in touch with you a soon as a property suitable for you is available.